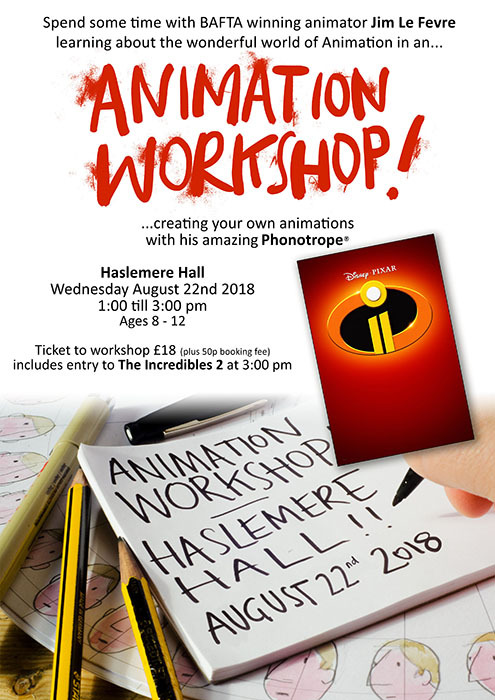 Spend some time with the BAFTA winning animator Jim Le Fevre learning about the wonderful world of Animation in a workshop format, where you can create your own animation with his amazing Phonotrope TM. Tickets are £18.00 plus 50 pence booking fee and are on a first come first served basis. This also includes entrance to Incredibles 2 at 3:00pm.